The latest round of property cooling measures is beginning to show signs of effectiveness as non-landed private home sales plunged by 34% month-on-month – from 2377 units to 1560 units within 30 days from 06 July 2018 when the measures took effect. Transaction volume in the mass market segment or also known as Outside Central Region (OCR) has taken the biggest hit with a drop of 44%, while volume in the Core Central Region (CCR) and Rest of Central Region (RCR) have also plummeted by 39% and 21% respectively. Analysts believe that one of the main reasons behind a massive drop in volume in the OCR was mainly due to the newly adjusted LTV limits and it proved to be a significant hurdle for HDB upgraders who are looking to move into the private property segment in Singapore. They have also added that the number of non-land property transactions in the RCR is slightly better off as it is mainly attributed by the recent new launch projects – Stirling Residences, The Tre Ver and Park Colonial – which were all very well-received by prospects. It was noted that just one day before the cooling measures took effect, a total of 1,039 units sold within a single day as buyers were mostly rushing to complete their purchases before the measure take effect on the following day. CondoExpert.SG has recently given an overview of the latest property cooling measures. On the other hand, overall prices for non-land private residential properties have rose by 1% when comparing data between “30 days BEFORE the cooling measures” and “30 days AFTER the cooling measures” – with properties in the CCR were the biggest gainers at 6% while prices in the RCR and OCR dropped by 2% and 3% respectively. Since the new cooling measures took effect, the growth of home prices have seemed to slow down significantly and this “knee-jerk” reaction was pretty much anticipated by market watchers – which was witnessed during the previous rounds of property cooling measures back in 2012 and 2013. 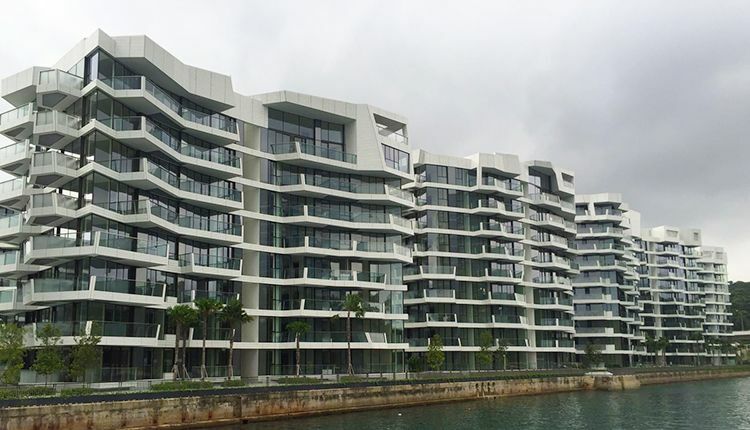 Some analysts believe that the luxury condos in Singapore will feel the least impact from the latest measures as most affluent buyers are more concern about the quality and needs for the property, instead of worrying about the affordability or ability to get a mortgage. In addition, foreigners will tend to make a comparison between properties in Singapore and in other countries & cities such as Hong Kong and London. Apart from price, a nation’s economic stability and security are usually their key considerations as well.